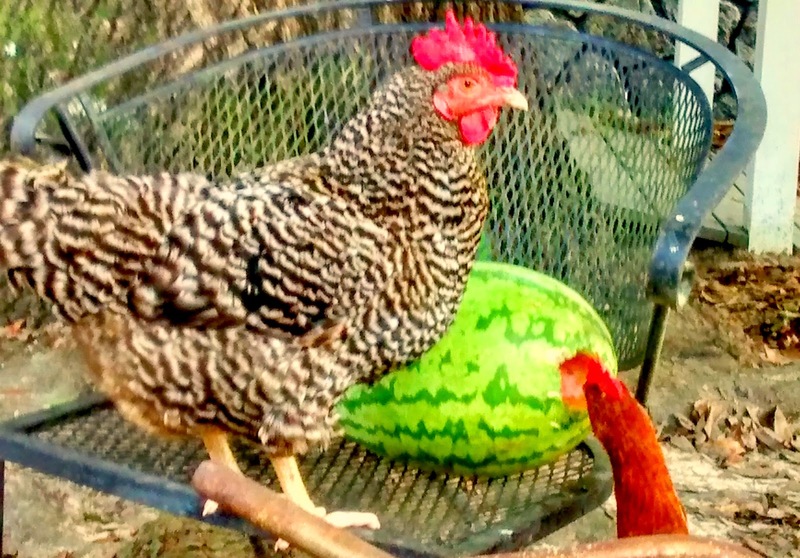 You know you live in the country when. . . .
Any watermelon left outside unattended, for even a minute, becomes fair game to a pack of chickens ready for a mid-afternoon snack. Previous post: The Monster Papaya.